Since 1999, Byrley Law Firm, L.L.C. attorneys have practiced U.S. immigration and nationality law before the administrative courts and agencies of the U.S. Department of Homeland Security, U.S. Department of State and U.S. Department of Justice. It is our mission to deliver the highest quality legal counsel and service to our clients. We strive to establish and maintain open and long-lasting relationships with our clients, with the understanding that, to be effective, an attorney must see the client, not as "case" but as a person. 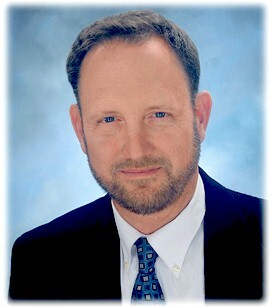 John Byrley is the principal of the Firm, and has been practicing immigration law since 1999. His focus is on naturalization, marriage and family immigration, employment immigration, and non-immigrant working visas such as the H-1B. John has wide experience working with individuals from many different cultures and backgrounds, having served with a number of international development organizations such as Freedom House, the US-Ukraine Foundation, Chemonics International, and Democratic-Russia USA Foundation. He is a member of the American Immigration Lawyers Association. John is an active member of the Maryland Bar, and an inactive member of the Bars of Virginia and Florida. John received a Juris Doctor, with honors, in 1992, from the University of Florida College of Law, where he served as the Executive Research Editor on the Florida International Law Journal. We provide a variety of immigration, naturalization, and visa services to clients in the metropolitan Washington, DC, area. Our practice includes work- and family-based immigration and a wide range of visa and consular issues. We are available to discuss potential representation without charge for preliminary consultations.